Expanding property agents, Mounsey Chartered Surveyors have bolstered their professional team. The Festival Park, Stoke-on-Trent, based company has secured the services of Carl Baker, a well-known name on the North Staffordshire and South Cheshire property scene. 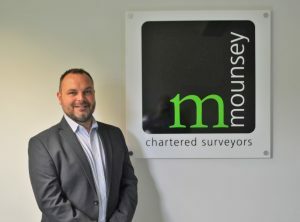 Carl, who lives in Alsager, joins Mounsey Chartered Surveyors as an Associate Director. James Craine, from Macclesfield, also joins the company as a Trainee Surveyor.